At the various cookie exchange parties that Islander attends around this time of the year in South Texas, one cookie that is almost always present is pan de polvo, a type of Mexican shortbread with a dusting of cinnamon-sugar. These sweet treats have a crumbly texture that make them so irresistibly tasty that it is impossible to eat just one! For those who plan to bake a batch of pan de polvo for a cookie exchange, this recipe is ideal because the cinnamon-anise tea can be used at least three times; tripling the dough recipe yields beyond a dozen of a baker’s dozen! These cookies are easy to make for a crowd, whether for cookie exchanges, Christmas, Advent, weddings, special holidays and especially for National Cookie Day. 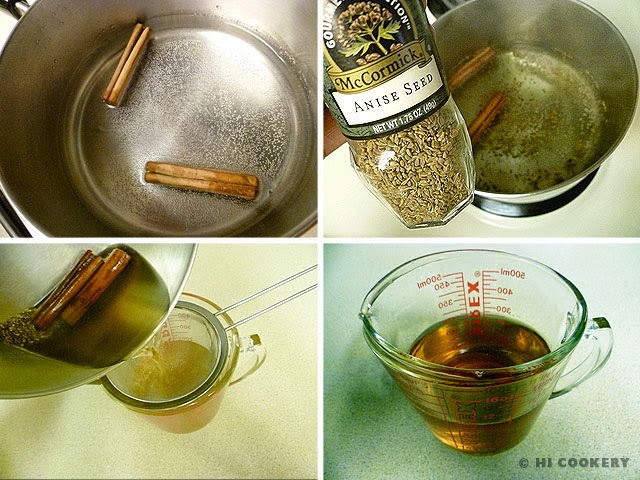 In a small saucepan, boil the cinnamon sticks and anise seeds in water for about five minutes. Remove from the stovetop and cool to room temperature. Strain over a sieve and refrigerate until ready to use the cinnamon-anise tea in the dough. In a bowl, combine the flour, baking powder and salt. Set aside. 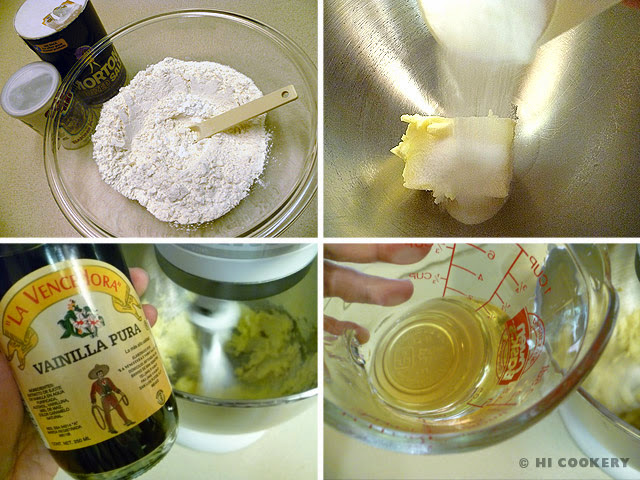 In a larger bowl, cream the shortening with the vanilla extract and sugar. Pour in ¼ cup chilled cinnamon-anise tea and mix well. Gradually add the flour mixture and blend until the dough sticks together. 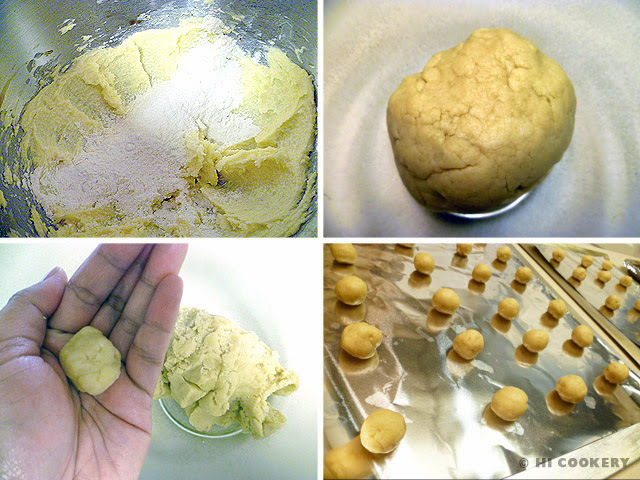 Form into a ball and refrigerate for about 15-30 minutes for easier handling. Pinch out 1-inch balls and roll until smooth. Place on a greased cookie sheet about two inches apart. Bake in a preheated oven at 325 degrees F for 20 minutes or until the cookies are lightly browned on the edges. Meanwhile, make the topping. 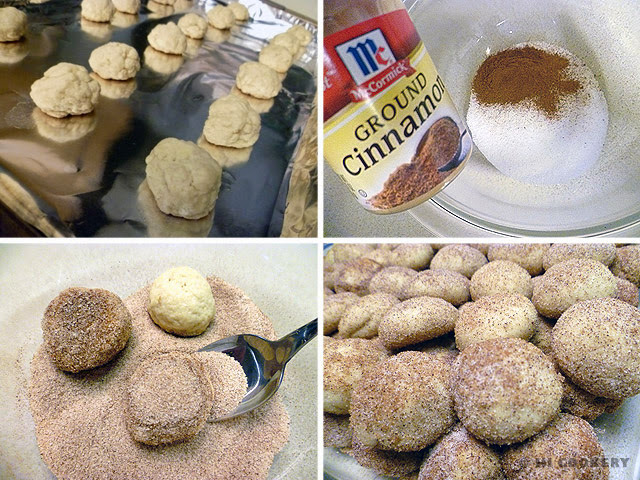 While the cookies are still warm and moist, immediately roll them in the cinnamon-sugar. Place the cookies in a shallow container and seal until ready to serve. There is enough cinnamon-anise tea to use in three batches of cookie dough. 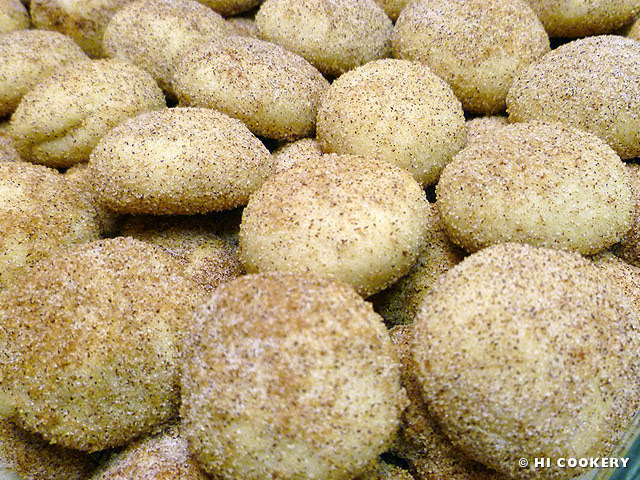 Each batch yields approximately 4-4 ½ dozen cookies (3×4.5=13.5 dozen or more than 160 pan de polvo). Double the amount for the cinnamon-sugar topping if making many cookies. Related cookies are Mexican wedding cookies and crescent cookies. Search our blog for other cookie recipes.